Earn up to 3,160 reward points. A snare pack for the early classical percussionist. 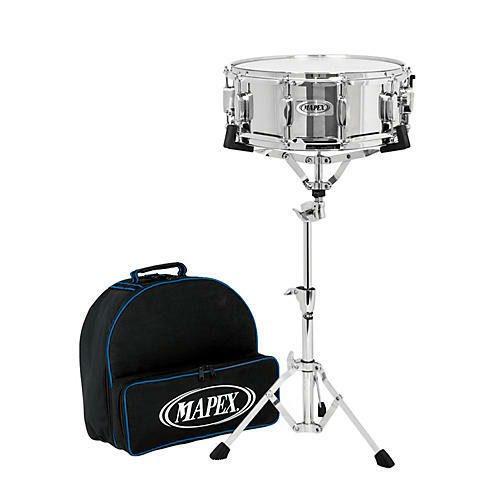 This Snare Kit from Mapex is a convenient way for a parent to setup their ambitious, young musician with a bent on orchestral or marching percussion. The kit includes a 12 x 2-1/2" chrome snare, Gladstone-style practice pad, adjustable stand, a pairs of sticks (2B) and a durable carrying bag.